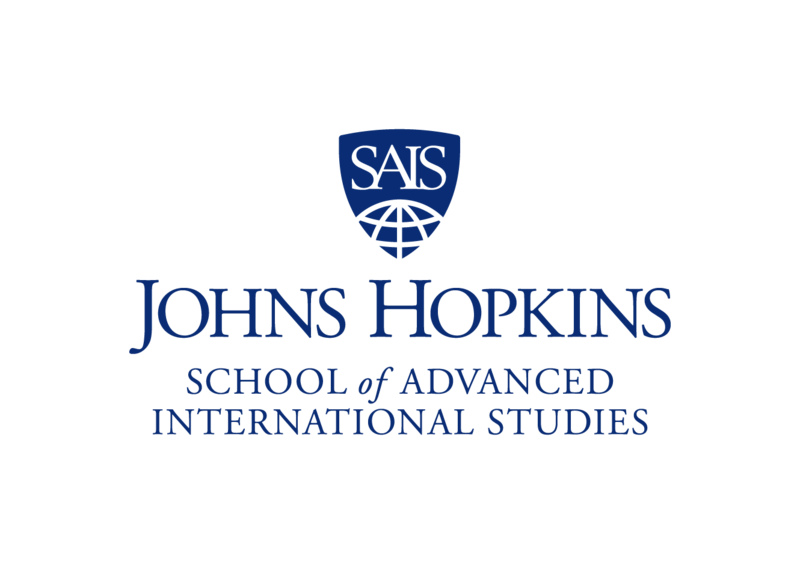 The Middle East Institute (MEI) and the Johns Hopkins School of Advanced International Studies (SAIS) Conflict Management Program presented a half-day conference bringing together analysts, diplomats, and policymakers to discuss the domestic and regional challenges facing Iraq. U.S. Deputy Assistant Secretary of State Joseph S. Pennington provided keynote remarks. Rasha Al Aqeedi is a researcher at Al Mesbar Studies and Research Center in Dubai, the United Arab Emirates. A native of Mosul, Iraq, she worked in various public sector posts between 2005 and 2011. Her research focuses on Islamist groups, radical ideology, identity politics, and more recently, the socio-political dynamics that led to Mosul’s fall to the Islamic State group, also known as ISIS, in 2014. AlAqeedi regularly contributes to Inside Iraqi Politics, UAE’s The National, and The American Interest. Mohammed Khalid Alyahya is a Saudi Arabian political analyst and commentator who focuses on the Gulf, GCC-U.S. relations, and Middle East security. He is a nonresident fellow at the Atlantic Council's Rafik Hariri Center for the Middle East and a research fellow at the Gulf Research Center, and serves on the advisory board for the Future Trends in the GCC Program at Chatham House. He was an associate fellow at the King Faisal Center for Research and Islamic Studies from 2014 to 2015. His writing has been published in The New York Times, The Financial Times, The Guardian, Al-Monitor, The Telegraph, and by The Royal United Services Institute and Al Arabiya. His commentaries have also been featured on the BBC, MSNBC, and Bloomberg, in The Wall Street Journal and other outlets. Amb. Feisal Amin Rasoul al-Istrabadi is the founding director of the Center for the Study of the Middle East at Indiana University—Bloomington, where he is also professor in the practice of international law and diplomacy at the Maurer School of Law and the School of Global and International Studies. From 2004 to 2010 he represented Iraq at the United Nations, having previously served as legal advisor to the Iraqi Foreign Minister during the negotiations leading to U.N. Security Council resolution 1546. in 2003-04, he was principal legal drafter of Iraq's interim constitution. His book, The Future of ISIS: Regional and International Implication, edited with Sumit Ganguly, is scheduled for publication in November 2017. Ambassador Istrabadi is a fellow of the American Academy of Arts and Sciences and member of the Council on Foreign Relations in New York. Dr. Abbas Kadhim is an academic and author with research interests in Iraq, Iran, the Persian Gulf, and Islam. He earned a Ph.D. from the University of California, Berkeley in 2006. Between 2005 and 2013, Dr. Kadhim was an assistant professor of national security affairs/Middle East studies at the Naval Postgraduate School in Monterey, California, and a visiting scholar at Stanford University. Prior to joining SAIS, Dr. Kadhim held a senior government affairs position at the Iraqi Embassy in Washington. He is the author of Reclaiming Iraq: the 1920 Revolution and the Founding of the Modern State (Austin: University of Texas Press, 2012) and The Hawza under Siege: A Study in the Ba'th Party Archives (Boston University, 2013). Seyed Hossein Mousavian is a former Iranian policymaker who served for more than a quarter century as an official in Iran’s government, working on foreign and security policy. He served as Iran’s ambassador to Germany (1990-1997), head of the foreign relations committee of Iran’s National Security Council (1997-2005), and spokesman for Iran in its nuclear negotiations with the international community (2003-2005). He is currently a Middle East security and nuclear policy specialist at Princeton University’s Woodrow Wilson School of Public and International Affairs. Joseph Pennington, a career member of the Senior Foreign Service, began his current assignment as deputy assistant secretary for Iraq in the Bureau of Near Eastern Affairs in December 2015. He served previously as director of the Office of Iraq Affairs after returning from a two-year assignment, 2013-15, as consul general at the U.S. Consulate General in Erbil in the Iraqi Kurdistan Region. Pennington served as deputy chief of mission at the U.S. Embassy in Prague, Czech Republic (2010-13) and held the same position in Yerevan, Armenia (2007-10). He worked as the U.S. Embassy spokesman in Ankara, Turkey (2002-06), as political-economic officer in Naples, Italy (2001-02), and headed the U.S. Embassy branch office in Mostar, Bosnia-Herzegovina (2000-01). He served as an economic officer at the U.S. Embassy in Sarajevo (1999-2000) and as political-economic officer at the U.S. Consulate in Adana, Turkey (1995-98). Pennington has also worked in the State Department’s Bureau of Economic and Business Affairs and at the U.S. Embassy in Moscow. Daniel Serwer, an MEI scholar, is the director of the conflict management program at the Johns Hopkins School of Advanced International Studies (SAIS) and a senior fellow at the SAIS center for transatlantic relations. He served previously as vice president for the centers of innovation at the United States Institute of Peace (USIP), where he led peacebuilding and stability operations, and as executive director of the Hamilton/Baker Iraq Study Group. A retired member of the U.S. Senior Foreign Service, Serwer directed the State Department’s office for European analysis in the bureau of intelligence and research and served as U.S. special envoy and coordinator for the Bosnian Federation. His current interests focus on the civilian instruments needed to protect U.S. national security as well as transition and state-building in the Middle East, North Africa, and the Balkans. His book, Righting the Balance: How You Can Help Protect America, was published in November 2013. Bilal Wahab is a 2016-2017 Soref fellow at WINEP, where he focuses on governance in the Iraqi Kurdish region and in Iraq as a whole. He has taught at the American University of Iraq in Sulaimani, where he established the Center for Development and Natural Resources, a research program on oil and development. He earned his Ph.D. from George Mason University, his M.A. from American University -- where he was among the first Iraqis awarded a Fulbright scholarship -- and his B.A. from Salahaddin University in Erbil. Along with numerous scholarly articles, he has written extensively in the Arabic and Kurdish media.